Saturn, slow-moving Lord of Karma, changes from one sign to the next every two and a half years, restructuring the foundations of our social awareness and karmic realisation. In accordance with the stately parade of destiny, the cycles of astrology are not only reflected in our daily lives, but also inform the patterns of our social behaviour. Saturn's transition from one sign to the next underpins the arena of human consciousness (particularly in alignment with Jupiter, the other Great Chronocrator). As Saturn enters Virgo after more than two years in Leo, Mary MacLean discusses the effects this new celestial development will have on our lives in coming months. Saturn, stern Lord of Karma, enters a new sign in September 2007. Not too long after that (in November 2007) mighty Mars performs a retro dance in the houses of Gemini and Cancer. What does this mean for the world, country and finally, personally? Let me explain more specifically. First, Saturn will enter Virgo on September 2, 2007. If you are a Virgo, many challenges and new obligations will be put before you. Your acceptance of these challenges is revealed by your natal sun configuration. For all intents and purposes the vibration will change from "Hold your ground and put out all the fires that erupt around you" to "Let's get to the bottom of this". You will use your Virgo powers of discrimination in determining the changes you have to make to keep the fires out totally. Basically, you have become entrenched in a process that no longer fits your life and now you will have the opportunity to change it to your liking. 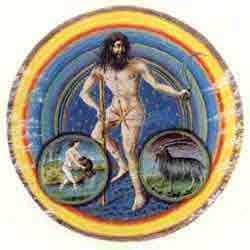 Second, if you are another Sun Sign, somewhere in your chart the sign of Virgo is present. This will be the area of redefinition. You may think that this will only affect Virgos. Surprise! There is an area in all of our charts that is ruled by the sign of Virgo. Did I hear you say "Where is it?" It could be anywhere. It will depend on your exact time of birth and where you were born. Oh yes, we mustn't forget the date of birth! I would like to give you an indication of what Saturn in Virgo will be about when we look at the placement in our personal charts. Unless you are a student of Astrology, you will have to confer with an Astrologer to get your technical alignment, though here we will give a general guide based on your Sun Sign, a valuable technique for guidance in the absence of a known birth time. Third, at the same time that Saturn enters Virgo, Mars will be transiting Gemini and moving towards Cancer, where it will turn retrograde on November 15, 2007 at 12 degrees Cancer. Mars at this time takes on the vibration of Saturn and redefines the area that it transits. Mars will retrograde back to Gemini 24 degrees on January 30th 2008. It is very important to know what planets you have in Gemini and Cancer in order to track the transit of Mars in this area. If there are conjunctions and/or other aspects in this sector, they will produce much stronger and more personal meanings. One thing I noticed was that Mars went into a cardinal sign, Cancer, a signal of new beginnings. However, with the retrograde going all the way back into Gemini before turning direct, your first course of action will be modified before you can actually commit to moving forward on the direct. This will depend on any planets you have in Gemini and in Cancer and aspects that they make from that position. If that didn't give you enough of a headache, keep in mind that this Mars will also be making a square to transiting Saturn, Pluto, Uranus, and Jupiter at different times. Now that I have lost you in the land of transiting planets, I do want to delineate for you the possibilities of this transiting Saturn in square to transiting Mars. Before I move into that realm, I would like to say that this is a deliberate effort on the side of whoever is in charge to move you in the best direction for you personally. If you have intercepted houses, you will have to cut and paste to make it work for you. When the Mars transit is over, you will recognize the genius of it all. And fourth, but finally, there will be two Eclipses during this period. The first will take place on August 28, 2007, a Full Moon Lunar Eclipse at 4 degrees of Pisces. There will be another Eclipse on September 11, 2007 at 18 degrees of Virgo and this will be a New Moon Solar Eclipse. Let's start with the Full Moon Lunar Eclipse because it comes first and ends the movement of the last 6 months. Wherever you find this placement of 4 degrees of Pisces is where there will be a change or an ending. The house that it lands in is the area of your life that will change and the aspects to other planets, natal or transiting, will add certain energies to that ending. The New Moon Solar Eclipse will be in Virgo at 18 degrees and has been a sensitive point for a while. This New Moon Eclipse will land in a certain house and along with natal and transiting planets will inform you of the critical issues that you will be dealing with for the next six months. Think of this as a shortcut to the heart of things. until November 15, 2007 when it reaches its retrograde station, turning retrograde in Cancer at 12 degrees. On November 15th, 2008 things may start to look as if they are not working as you expected. This is the point where natal planets come very much into play. Retrograde Mars re-enters Gemini on New Year's Eve and goes all the way back to where it was on September 17th, 2007, reaching its direct station in the 25th degree of Gemini. Here is a brief outline of the effects on each sign as Saturn enters Virgo on September 2, 2007, with a link to a more in-depth analysis. Remember to check the forecast for your rising sign too, for a more balanced reading. To calculate your rising sign, click here. Saturn entering Virgo on the 1st house cusp has a lot of issues. The most important issue is the start of a whole new Saturn transit through the chart. It is a beginning that leaves the last 28 years behind, so click here to read more on the Saturn transit's effect on Virgo! Saturn in the 12th house seems to scare some people, but this is a time to let go of the baggage you have been carrying with you for the last 20 years. Click here to read more on the Saturn transit's effect on Libra! 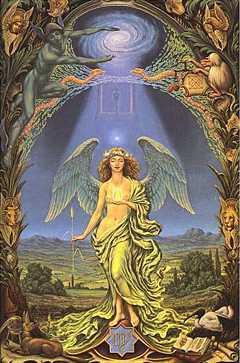 Saturn in Virgo in the 11th house of friends, hopes and wishes always indicates a redefining of these topics. You begin to assess your satisfaction with a career, efforts involving other long-range goals, and the role you play in the lives of other people. Click here to read more on the Saturn transit's effect on Scorpio! Saturn in Virgo in the 10th house of career and public image indicates that you have reached a high point in your career. You will be looking at redefining it during this current Saturn cycle of 2½ years. Click here to read more on the Saturn transit's effect on Sagittarius! Saturn in Virgo in the 9th house ushers in a time to redefine your philosophy, make adjustments involving legal matters, return to school, or take up higher education. Your 9th house covers many issues. They are mostly internal and mental. Click here to read more on the Saturn transit's effect on Capricorn! Saturn in Virgo in the 8th house always seems to have a lot to do with money. Not your money, but partnership finances, mortgages, loans, and money you might receive from inheritance. It seems that during this period your issues with money from others will be tested. Click here to read more on the Saturn transit's effect on Aquarius! Saturn in Virgo on the 7th house brings the area of partnership (business or personal) to the forefront of your day-to-day world. You will be redefining this area and bringing a much needed eye to it. Partnerships will require more from you. Click here to read more on the Saturn transit's effect on Pisces! Saturn's transit through Virgo in the 6th house has everything to do with health, pets and your everyday work. Working responsibilities increase an there is pressure on health. Click here to read more on the Saturn transit's effect on Aries! Saturn in Virgo in the 5th house asks us to redefine our creativity. Creativity can mean many things to many people, but some of the more important points to think about are children, love affairs, entertainment and investments. Prepare to readjust your life in any area or all of these areas during this cycle. Click here to read more on the Saturn transit's effect on Taurus! Saturn in Virgo in the 4th house is all about redefining you from your core to your physical manifestation. This promises a time of new beginnings as you address your deepest desires. Click here to read more on the Saturn transit's effect on Gemini! Saturn entering Virgo in the 3rd house is an indication of solidarity in dealing with communications and community. It has an effect on cementing relations with brothers and sisters. This is also where you spend most of your time and how you interact with your community. Click here to read more on the Saturn transit's effect on Cancer! Saturn entering Virgo in the 2nd house has the distinction of redefining your values. Values can mean many things to many people and Virgo awakens very earnest meanings. The term "values" incorporates the themes of love and money – and your priorities in life. Click here to read more on the Saturn transit's effect on Leo! You can phone Mary in the US on 303-778-0274. Now check out the forecast for your sign, by clicking in the table below!